This October, in Slough, United Kingdom, paint was donated by Dulux, so pupils from Slough & Eton school could create some beautiful art. This October, in Slough, United Kingdom, paint was donated by Dulux, so pupils from Slough & Eton school could create some beautiful art. 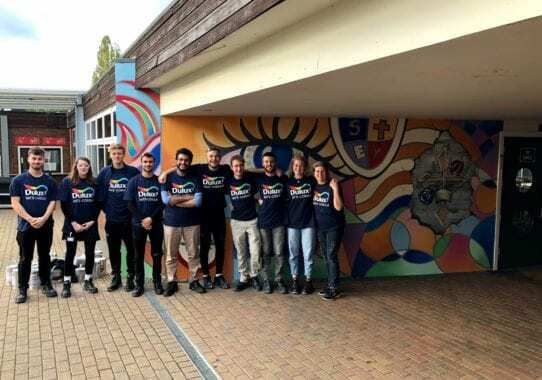 AkzoNobel staff in Slough donated the leftover paint to this local school – this way, they celebrated 25 years of sponsoring Community RePaint, a paint re-use charity. 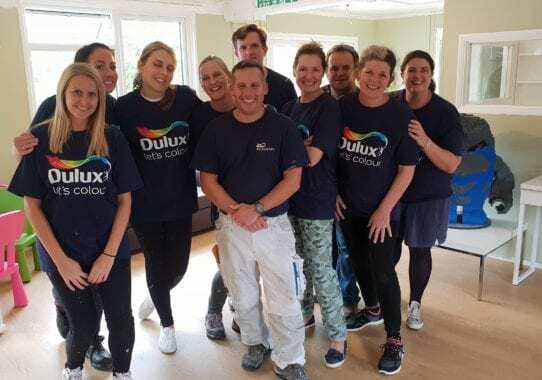 Staff at Slough’s Dulux headquarters in Petersfield Avenue collected 1,245 liters of paint that had been left unused. 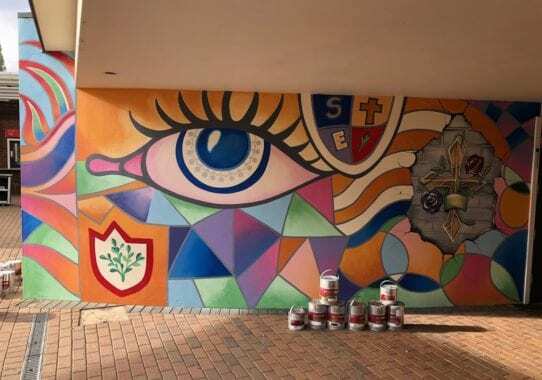 This paint was donated to Slough & Eton school, where pupils used this opportunity to create some new art and draw murals. 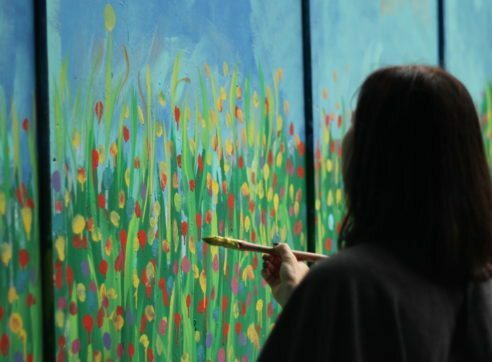 To create the new mural, creative director Marianne Shillingford held a workshop with the students to design the feature and the decorating experts at Dulux went along to the school in Ragstone Road to help them paint it. 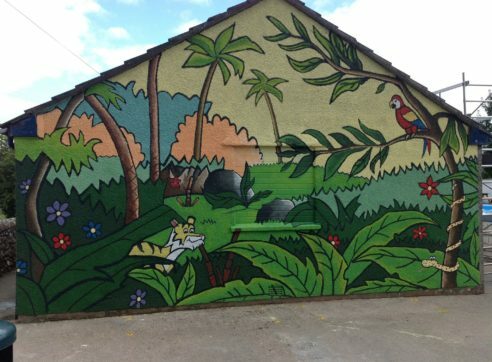 A team of staff worked with the school to help them create and paint the playground mural. The results were amazing, and an otherwise grey area was transformed through color. 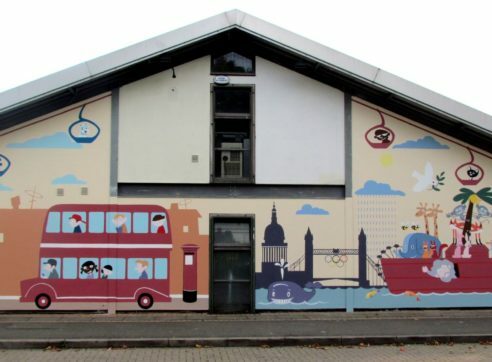 Dulux decorating team has been working with the Slough & Eton School to help them create and paint a playground mural. The area has definitely been transformed through color and the students and teacher love it. 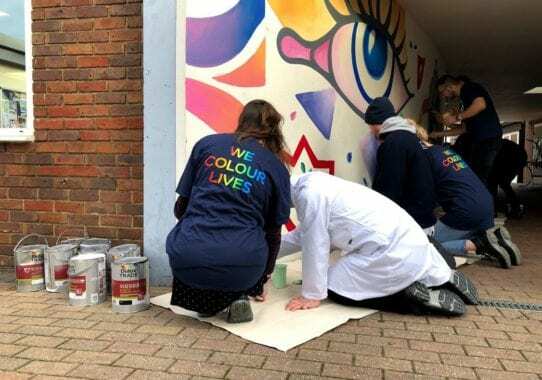 Celebrating 25 years of sponsoring Community RePaint, a paint re-use charity was an occasion that Let’s Colour project saw as a perfect opportunity to help young students from Slough & Eton School. They attended the workshop, learned about color, murals and how to draw them. Let’s Colour always had goals to equip the participants with useful and empowering skills to build their future and bring them one step closer to leading productive lives, personally and professionally.